We have hand picked each item in the Rupes Pad 6" Kit because they are highly effective when paired together. To create the best kit possible we utilize our years of detailing experience, combined with input from some of the best detailers around the country. We are confident you will get outstanding results with each item and really enjoy how your vehicle looks afterward. Save $8.97 off of the retail price of individually purchasing these items! 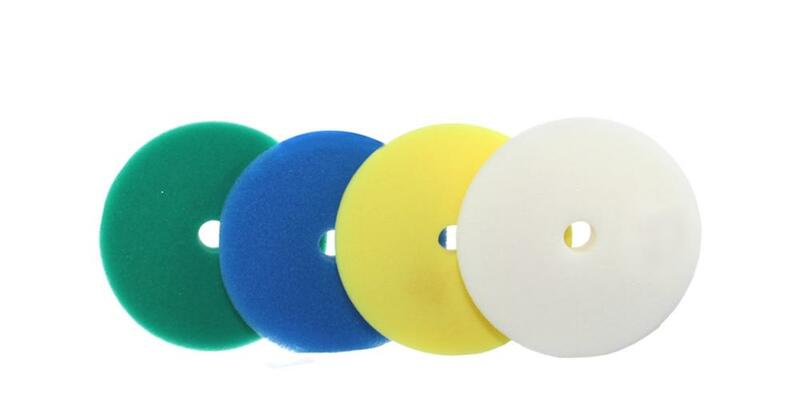 Rupes Yellow Polishing Foam Pad (6") - remove light imperfections from your paint with ease! Rupes White Finishing Foam Pad (6") - bring back that deep glossy finish safely and easy! Rupes Green Medium Foam Pad (6") - remove moderate to light imperfections quickly and easily! Rupes Blue Coarse Foam Pad (6") - remove heavy imperfections, swirl marks, scratches, etc. with ease! One of the best purchases I have made. I love the Rupes line of foam pads and reach for them often during a paint correction. I love the Blue Pads on Gel Coat and the others on vehicle clearcoat. You can never have enough of the Rupes foam polishing pads and I will be grabbing another kit soon! All of the tips and pointers have really given me the confidence to try some of these things out on my own.